Celeste, an Indie game made by Matt Makes Games Inc., is a precision platforming video game with easy-to-learn controls and a great, relatable story. With a 97% recommendation rate on Steam and over 500,000 total sales on PC, Switch, and PS4, it is obvious that the community loves this amazing game. Furthermore, it was recognized as the best indie (non corporate) game of 2018, and many critics believed that it could even take the award for the best game overall. Other than moving around with the arrow keys, Celeste has three main controls: jump, dash, and climb. Jump does what you think it does, dash allows you to “dash” a short distance across the ground or through the air before touching the ground again, and climb allows you to hang on and climb up/down walls. Also, you can combine controls by dashing upwards after a jump to go higher, jumping upwards off of a wall to go over a spike on the top, or even try advanced movement such as jumping at the end of a dash across the ground to jump very far and still keep your ability to dash (also called dash cancelling). Although individually these are very simple mechanics, each level uses them in so many different and original ways that it is just remarkable. For example, there are green crystals that allow you to dash a second time in the air (before touching the ground), blocks that move in different directions when you touch them, blocks that allow you to dash through them (and even let you jump out of them for a speed boost), blocks that throw you in a direction based on where you touch them, feathers that allow you to fly through the air as a ball, and much more. Furthermore, after introducing each new mechanic, the level slowly gets you used to them by building up the difficulty while also introducing unique ways to use these new mechanics. Celeste’s story is a whole other topic. The main character, Madeline, travels to Celeste Mountain to try to reach its summit. Although it is infamous for its insane difficulty and deadliness, Madeline’s only reason to climb the mountain is because she just needs to. With a cast of relatable characters and an amazing story about a struggle against oneself (both figuratively and literally), Celeste creates a story that is, in my opinion, the best story in the history of all platform games. Overall, I would highly recommend Celeste to anyone who likes platforming games and a good story, and even if you aren’t one of those people, I still believe that you should try it out. Marvel’s Spider-Man is an action-adventure game developed by Insomniac Games and released on September 7th, 2018, to the PS4, receiving praise from both critics and gamers alike. The question I am here to ask is: does it really live up to the praise? Is this truly a genre-defying game? That’s what I am going to answer. This is my review of Marvel’s Spider-Man. Quick note: this is just my opinion. If you disagree with me, that is completely fine. The story of this game revolves around Spider-Man, who beats Wilson Fisk, a crime lord he has been dealing with for years. Spider-Man’s triumph over this does not last long, as he is plunged into a uprising of criminals. 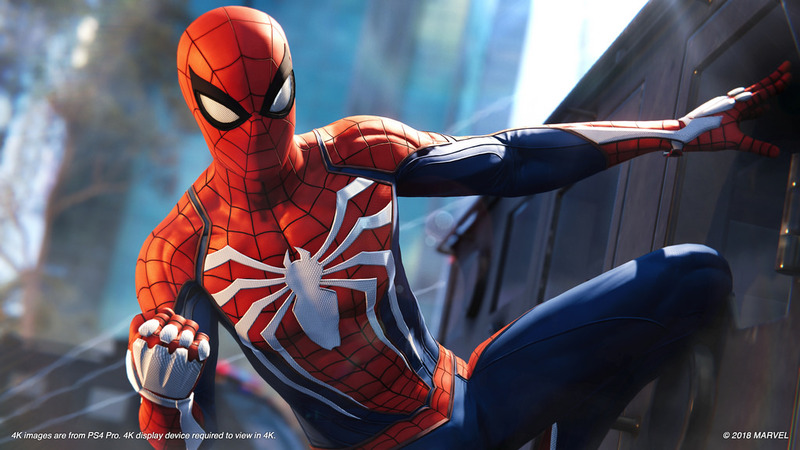 Story-wise, this game is superb, with a plot that will keep gamers engaged and Spider-Man fans squealing for its roughly 10-hour completion time. The story also has some events that may surprise you. The game also explores Spider-Man’s life as a regular person, Peter Parker, and shows that he has his everyday struggles, just like all of us. Gameplay: The game’s combat system involves battling the AI with normal fist to fist combat, and gadgets and upgrades you get as you progress through the campaign and complete side tasks. The focus bar is a bar that fills up as you battle your enemies, and you can use it to heal yourself or, once the bar is full, perform a takedown on an enemy. Stealth combat involves performing perch takedowns or web strike takedowns on enemies who are safe to take out. If an enemy is not safe to take out, another enemy is very close by and can see the other AI. You can lure the enemies out with web shooters, making it safe to take down the other AI. Finally, stealth sections with other characters are present in the game. These are definitely the more mundane parts of the game. These consist of sneaking around to an objective, and not getting caught by enemies by interacting with the environment. My answer to the questions earlier is: Yes. This game is absolutely spectacular, and I hope other superhero games can be as good as this one. This is starwarsguy124, signing out. 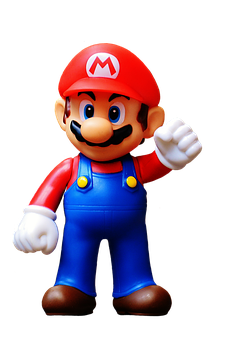 Super Mario Bros Wii is a fantastic game for making memories with your family. Super Mario Bros Wii has legendary multiplayer, so I would recommend playing the game with friends or family. The courses are as original as it gets, which makes Super Mario Bros U look like nothing more than a boring remake. I like the new powers in this game because they were very fun to use and they were very useful. All of the worlds are so well-made that I can’t tell which world is my favorite. This game has so many fun challenges like coin rush, free-for-all, and trying to find all of the star coins. The enemies and bosses were the best I have ever faced in Super Mario Bros. One thing I would have liked to have seen was more levels that could be unlocked through a secret passage, because that would increase the excitement of the game even more. The atmospheres in the levels were exciting; they gave me an experience I wanted when playing this game. The bubbles used to save yourself in multiplayer is useful because you can make a mistake in a level without having to lose a life. This blog will be about Dark Souls 2, Scholar of the First Sin for PlayStation 4. 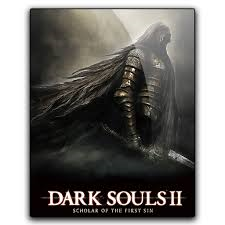 Dark Souls 2, Scholar of the First Sin is the Dark Souls game to play for anyone who is new to Dark Souls. The game is more simple than the other Dark Souls games in the trilogy, with a simple task to go to a king and break a curse instead of a complicated scheme to bring back light. The graphics were okay, but they seemed no different from the graphics for PS3. The game was really fun and it was a genius idea to be able to take any of the paths to a great one in any order. I was confused on how to get past the central area of the castle, so that prevented me from completing the game. It was a convenience that it was easier to find souls in this game than in any of the other Dark Souls games. I wish in the game that each class had more variety in stamina, because each character seemed to have had the same amount of stamina. I was hoping that there would be indictments in this game, especially considering the fact that there were dark invaders in the game. I thought that the bosses were too generic and small, they were not very creative. The Legend of Zelda is a video game series everybody has heard of, whether you’re a gamer or not. In 2003, The Legend Of Zelda: The Wind Waker was released for the Nintendo Gamecube. It was then re-released in 2013 for the Wii U under the name Wind Waker HD. In this game, Ganon has returned and has kidnapped Link’s sister. Link must now travel to several different islands, get items, and defeat enemies. This game uses anime style graphics to make it cartoony, which is only in the Gamecube original. The Wii U remaster upgrades to HD graphics. One of the biggest alterations between the versions is the huge triforce hunt near the end. The locations of the triforce shards are switched, and so are the locations of some other items. The soundtrack is a mixture of calm, upbeat, chaotic, and adventurous songs. The Wii U remaster upgrades some of the songs to sound more realistic. If you are new to Zelda games, this is the game I recommend you try out first. If you ask me which version I prefer, I would have to say the Gamecube original because that’s the one I grew up with, but most other people prefer the Wii U remaster. This game is fun, so I give it a 10/10. Fun fact: If you own an older model of the original Wii, you can play Gamecube games on your Wii. You will need a copy of the game you are playing, a GameCube controller, and a GameCube memory card to play. You’ll know its an older model because it has four controller ports and two memory card slots at the top. Dye is a fairly new indie game about a white blob who jumps around to color stuff. I know, an engaging plot. But what this game loses in story it more than makes up for in game play. This game plays excellently, especially with a controller. If you’re using a keyboard, well, it’s not that great. 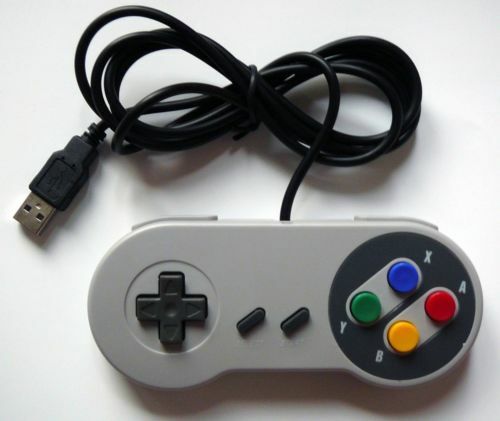 I decided to use my Retrolink SNES USB controller. I had a problem using it in game, so I downloaded JoyTokey, a free application that reads controller inputs and converts them into key presses. If you go this route, make sure to get the application from JoyTokey’s website, or else you might be at risk of a virus. Dye is very good for what it is. It is easy to compare to Super Meat Boy for their tough game play and tight platforming. In Dye, you will die. Like a lot. In fact, for the best experience, I recommend creating a mindset where you’re okay with dying. Otherwise, prepare to rage. This game is perfect for any one looking for a retro game similar to things like Mario World, but with a modern twist. There is a ton of content in this game, especially if you’re going to one-hundred percent or speed run it. In the newest patch, there’s even a speed run counter, so I encourage you to run through it. I picked this up recently, when it was on sale for less than four dollars, but I would recommend picking it up now while it’s on sale, and maybe even getting the bundle with the soundtrack for only a dollar extra. This game’s presentation is very nice. There are things in this game called Pigments, which are basically this game’s main collectible. The more you collect these, the more the levels fill up with color. In conclusion, I would recommend picking this up now while it’s cheap, but otherwise, you should probably get it anyways, unless you don’t like this genre. I give Dye a solid 9.2/10, for it’s solid, yet difficult game play.